Lenox 100th Anniversary Promotion: 10% Off Select $100 Lenox Orders. 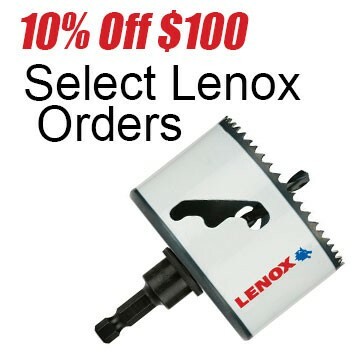 From July 15, 2015, through August 15, 2015, when you spend $100 or more on select Lenox tools shipped and sold by Amazon, you can get 10% off. Discount applied automatically at checkout.